Can Co-Working Solve The Talent Shortage? The rise of co-working spaces in Europe is a sign that the world of work is dramatically changing. The workplace of today looks completely different in many respects. Besides obvious technological changes, flexibility has become a key benefit for many employers and traditional offices are redefining the concept of space. Thanks to modern technology, a lot of jobs can be done remotely. All you need is a good connection, a decent laptop and a lot of self- discipline! We have previously discussed the benefits of smart working, including the fact that companies are empowered to embrace the future of work and create a remote friendly company culture with high employee engagement and satisfaction. 40% of the workforce in America will be freelancers and contractors by 2020. This is extraordinary and clearly sheds light on a growing trend that is actually becoming a lifestyle and an essential asset for emerging tech companies. According to our research, we estimate there will be over 35,900 co-working hubs around the world by 2022. That’s an increase of 90% in just four years! In Ireland and the UK we are seeing the rise of more and more co-working spaces and innovation hubs, which are becoming the solution to many issues, including the lack of office space in the capital. Hubs are offering a flexible, cheaper, creative environment where smart workers, entrepreneurs and freelancers can mix and mingle, share ideas and shape the future of work. In this day and age, competition for top talent is brutal and that is why retaining high-value staff is vital, more so than ever. Creating a work environment that promotes flexibility is crucial to attract new talent but also to retain employees that might favour alternative workplaces to a traditional office. Furthermore, attracting millennials has become the primary concern for national and international companies. Millennials are going to dominate the workforce in the next few years but the average job tenure for a millennial is only between 3 and 4 years. Fostering an environment where trust is built, efforts rewarded and a positive company culture established is key to attract young talent. However, flexible hours and locations are already growing trends among the benefits offered by American and European companies. Ireland and the UK will need to catch up with the future, as the war of benefits has already begun in what is now the biggest silicon valley of Europe. I have worked and ‘lived’ for a couple of American multinationals. Each company had its benefits and perks, including gyms, free canteens, game rooms, to name a few. There was a feeling of ‘the longer you make yourself visible at your desk the better’ in terms of popularity and managerial appreciation. I have left all of this to embrace smart working and geographical flexibility. I now live and work between Ireland and Italy and I find co-working a revolutionary way of approaching my daily life. Commute is no longer needed every week. Flexibility and meeting new people from different backgrounds always boosts creativity and promotes a sense of empowered freedom. No material perk offered by any multinational can beat that! We are approaching a new working era where there will be less geographical barriers to what we can achieve and where digital nomads will be the new entrepreneurs, especially in a tech-dominated universe. Moreover, considering the costs imposed by tenants, companies are cutting down on bills and maintenance expenses by allowing their employees to work from co-working spaces or from home. Co-working spaces have clearly revolutionised the traditional work environment. Startups have been early adopters, but the coming year will see large corporations embracing the coworking lifestyle. A few big ones like Amazon and Starbucks are leading the trend. If you’re looking to retain top talent, co-working hubs may be the answer! 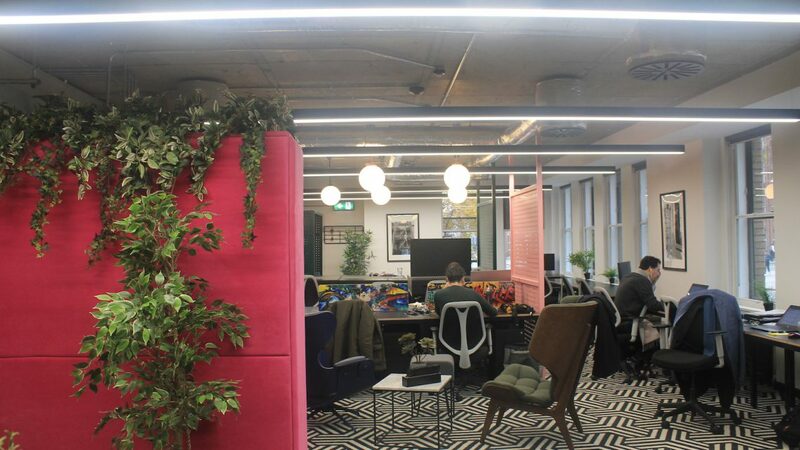 Check out our co-working hubs listings on Abodoo.com and drop us an email if you have a co-working hub that would like to be listed Contact Valentina.